You are either part of Bankai Nation, or you aren’t. There is no gray area. As for me and my squad, we are definitely on board. This new joint from Bankai Fam is an anthem of sorts produced by Astronote from their latest project, Civil War. Check that out if you are late to the party! So I have a post with Spit Gemz today and one with Skanks but why don’t we tie them together with this cut from Eff Yoo and Rediculous’ album, The Eff Word. Chinese Super Ninjas is a dope posse cut that also includes bars from G.S. Advance. Man, I like that wordplay. Endemic unleashes a bluesy and soulful production for Skanks’ thoughtful phrases as it regards to the ‘trouble’ that surrounds him. He references the violence against the black community, the loss of his childhood heroes, Hulk Hogan and Bill Cosby, and the perception that Black Lives Matter is somehow a racist propaganda. He really goes in on this one. The two have a collaborative album in the works, Rapsploitation, dropping in February 2016. So check back for more information. I am sure there will be more coming. I am not going to let this one slip through the tracks (haha). 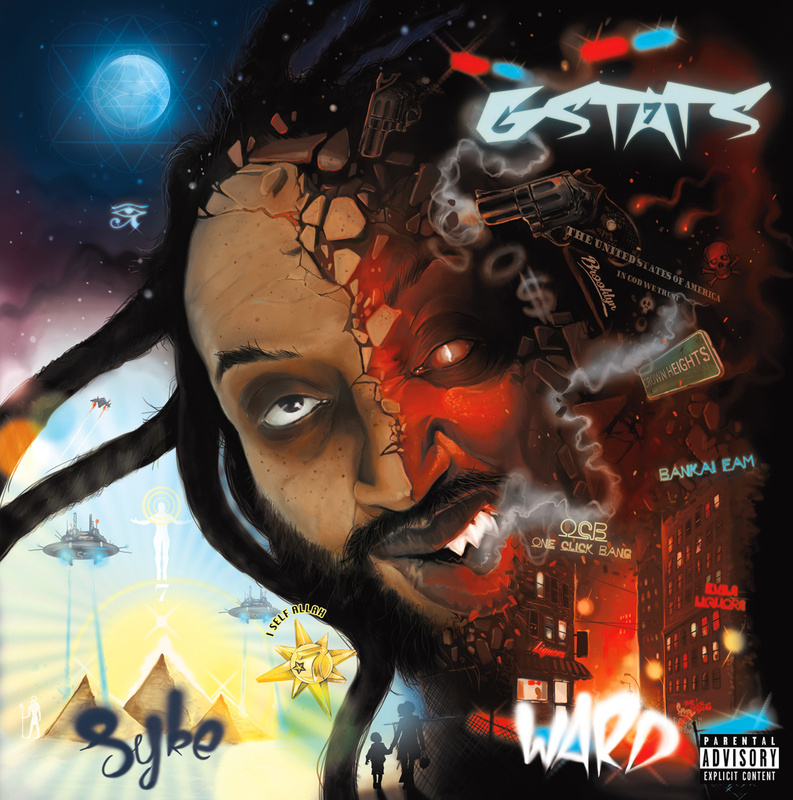 Gstats just released his project, Syke Ward, and I was one of the first in line to cop it. First off, Shinigamie Records, has a proven track record of dropping some dope material. Gstats drops some rough and rugged flows throughout the release, but this posse cut right here, was definitely and ‘oh wow’ moment. If you are feeling it, make sure drop some scratch on the album.